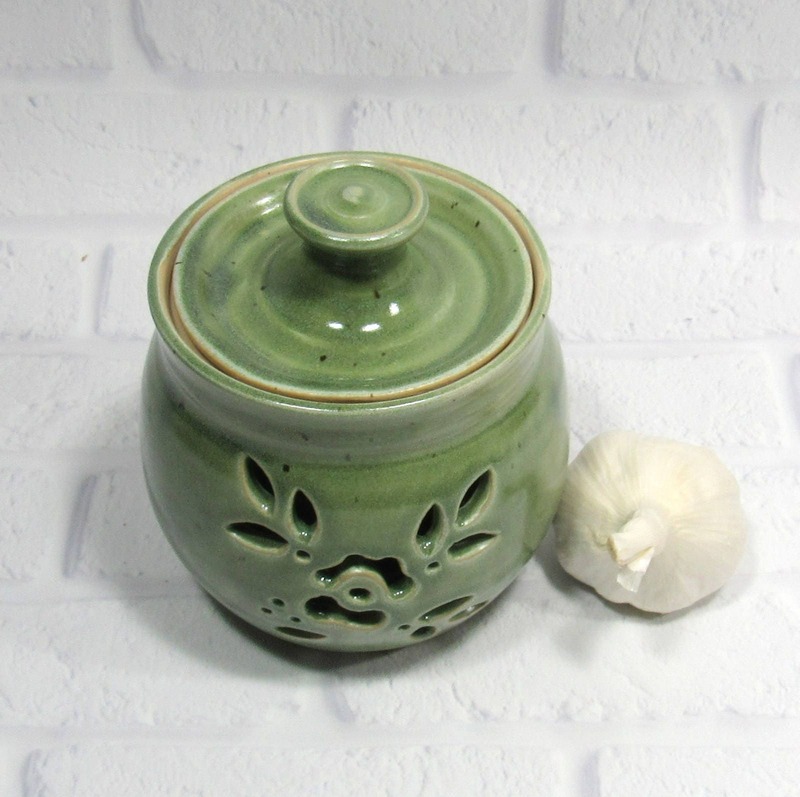 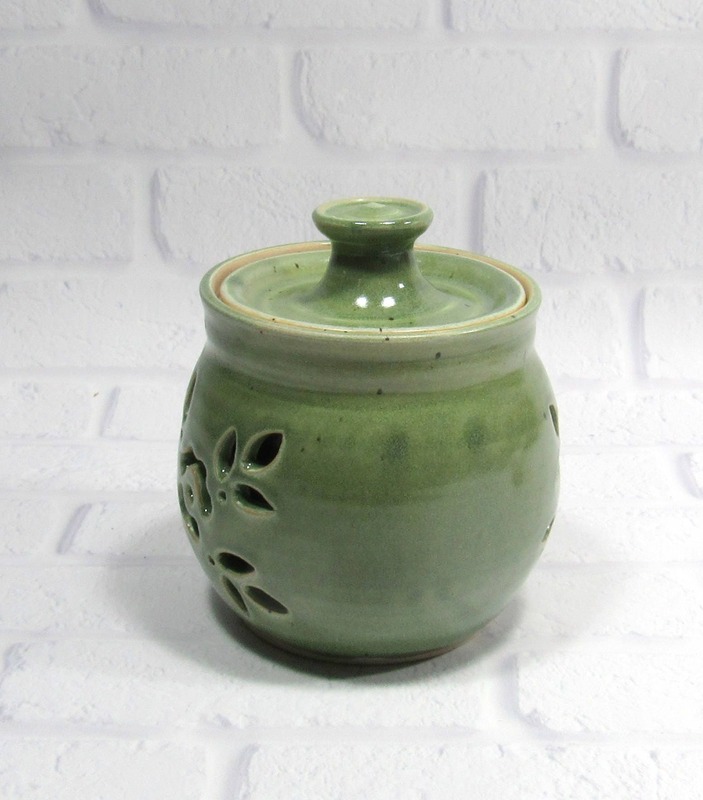 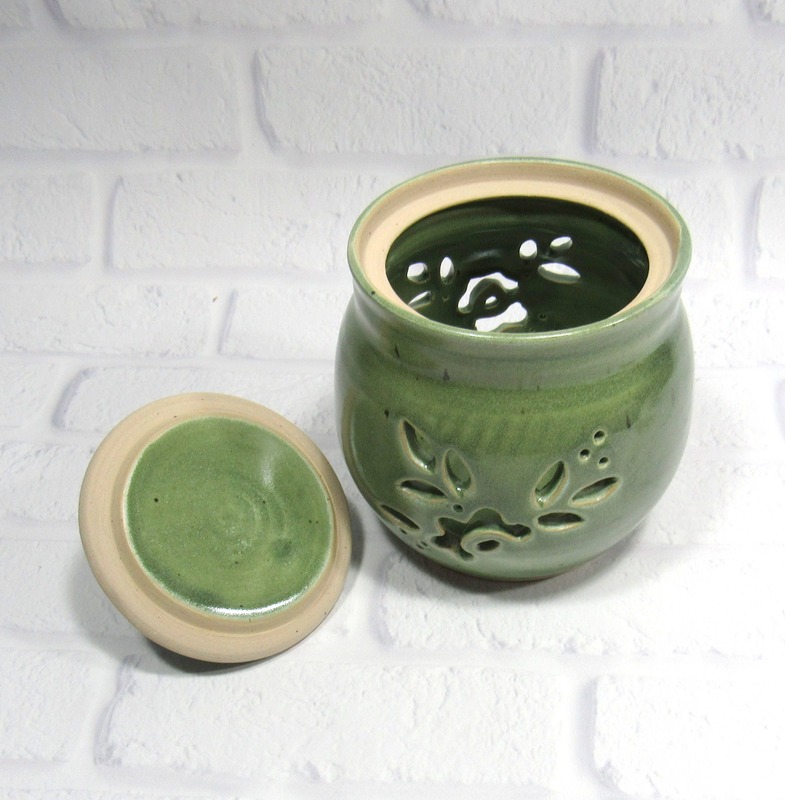 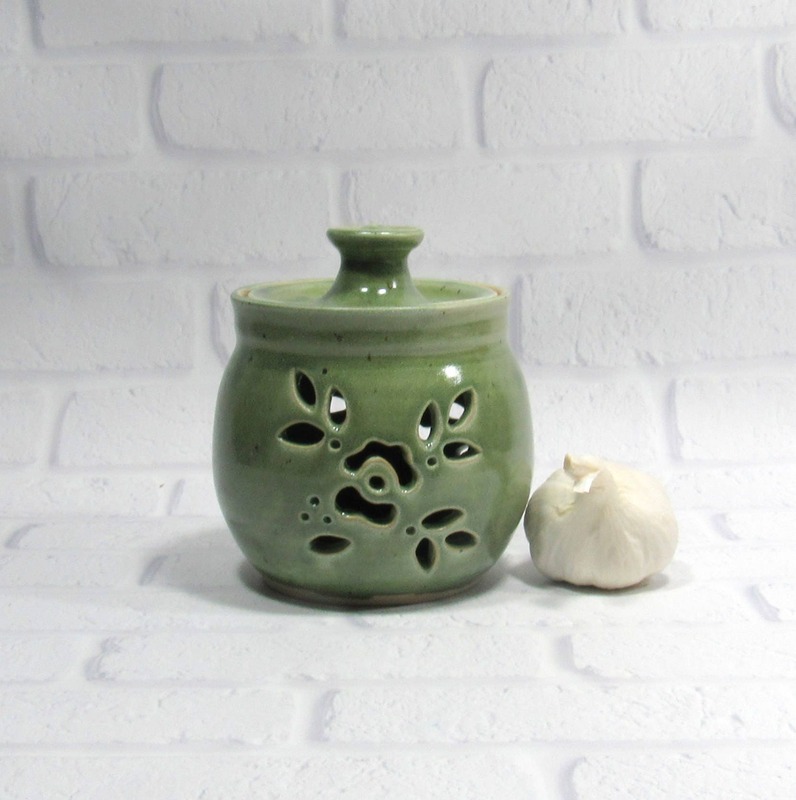 This ceramic garlic jar is perfect for storing garlic or shallots because it provides a dark, moisture-free environment. 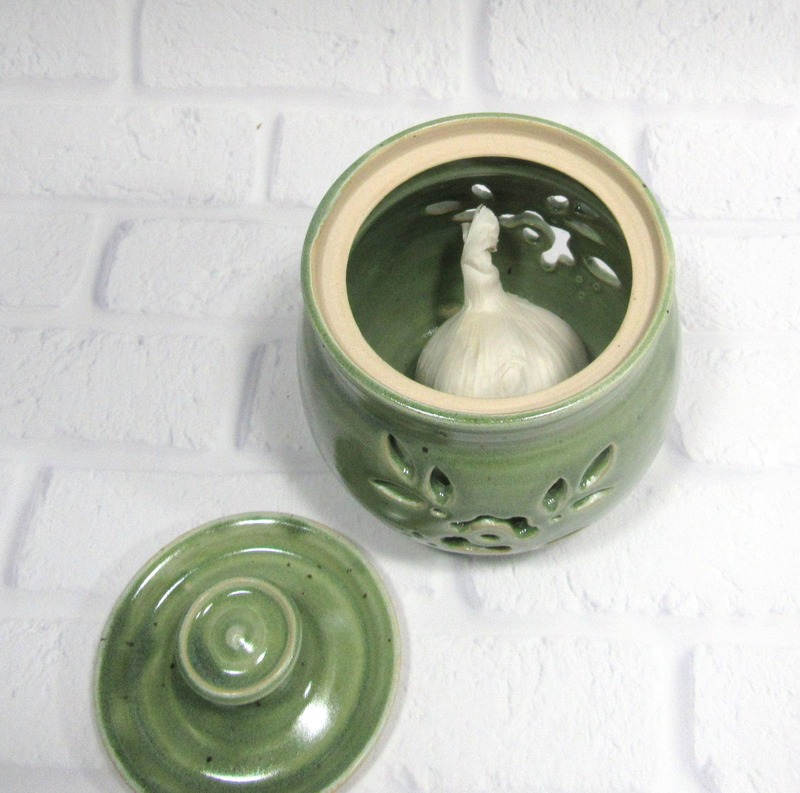 The carved floral design on the sides of the ceramic garlic keeper allow air to circulate delaying sprouting. 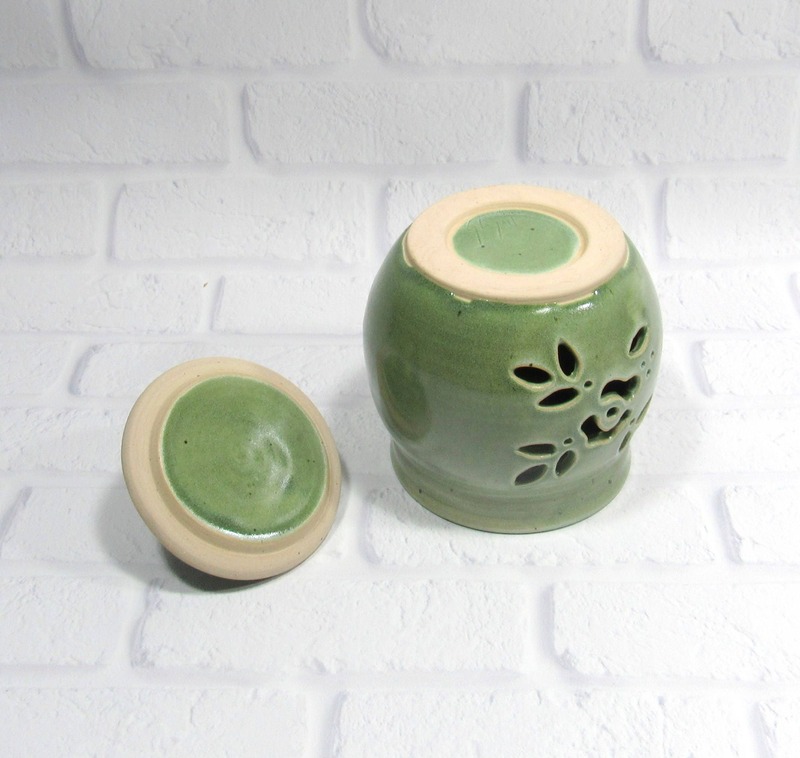 The jar is 5.25 inches tall to the top of lid, and 4 inches deep. 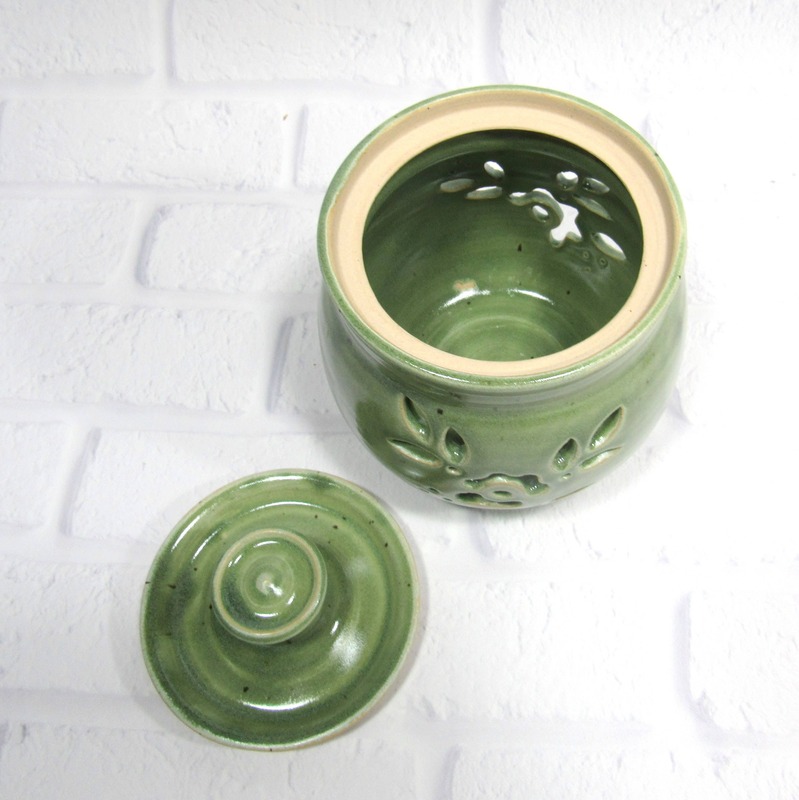 The opening is about 3 inches in diameter. 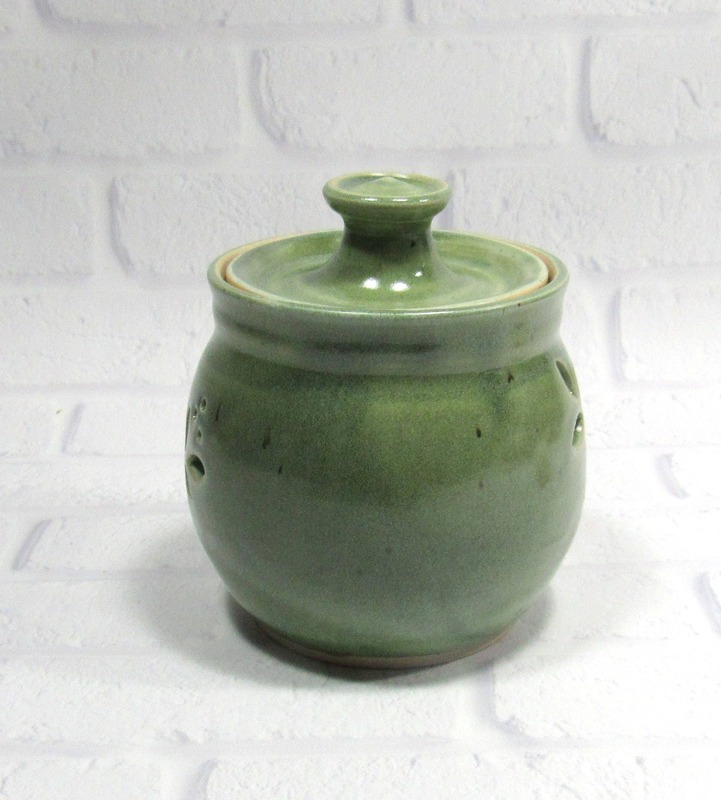 I made this jar on the potter's wheel in my Virginia studio. 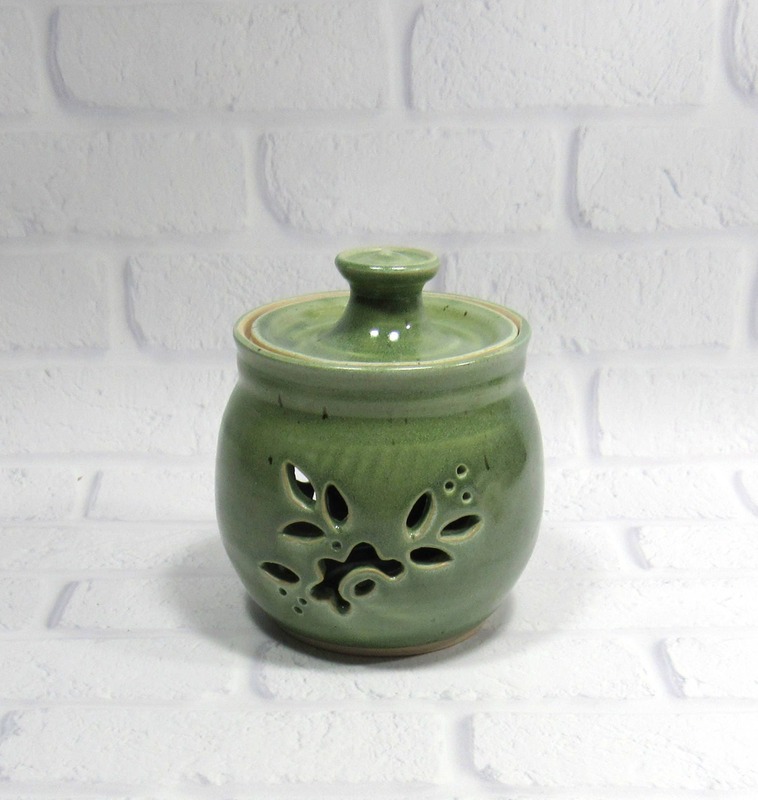 Once the clay was dry enough to handle, I trimmed the jar to refine the shape and create the foot. 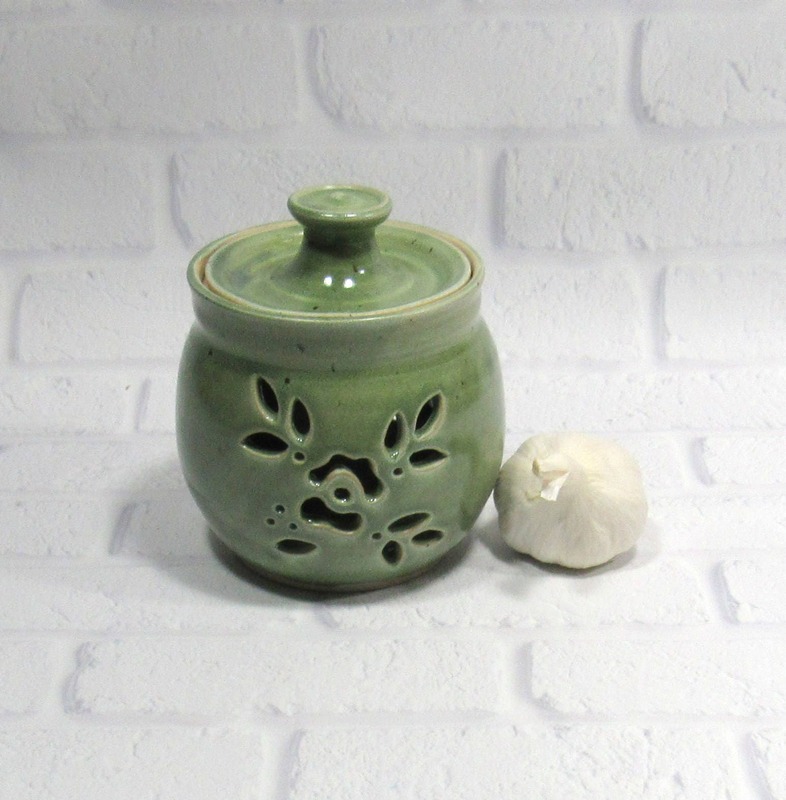 I then used a scalpel to carefully incise the pattern.